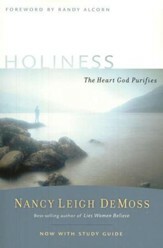 Embraced by Holiness, a 6-week study, guides readers to understand holiness, hear God's call to holiness, and practically live out a holy life. You long for a deeper walk with God but you seem to be missing out on that daily intimacy that you desire. What is standing in your way? 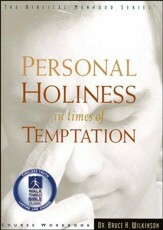 Holiness is a concept that many believers do not fully grasp and therefore cannot live out daily. Yet God makes it very clear and simple. So, if the lack of holiness is blocking your intimate relationship with God, begin now to understand holiness, hear Gods call to holiness, and practically live out a holy life. 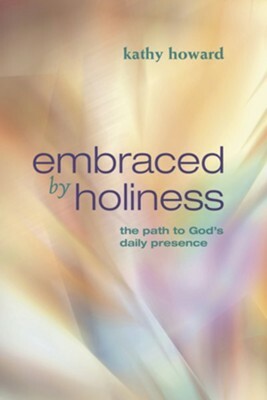 Embraced by Holiness is a focused six-week study that allows you to interact with specific Scripture passages. 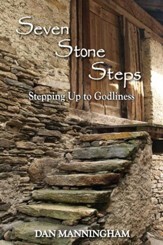 Be encouraged to take a guided, deep, and consistent look at Scripture for biblical principles dealing with holiness. And, after five weekly lessons, you will have the life-changing opportunity to experience practically and personally these principles at work in your everyday life. Kathy has been teaching the Bible to adults for more than 25 years. Actively involved in womens ministry, Kathy speaks regularly at events and conferences. She holds a masters degree in Christian education and a certificate in womens ministry from the Canadian Southern Baptist Seminary. Married for 30 years, she and her husband, Wayne, have three children, a son-in-law, and a grandchild. She currently resides in Houston, Texas. I'm the author/artist and I want to review Embraced by Holiness: The Path to God's Daily Presence.